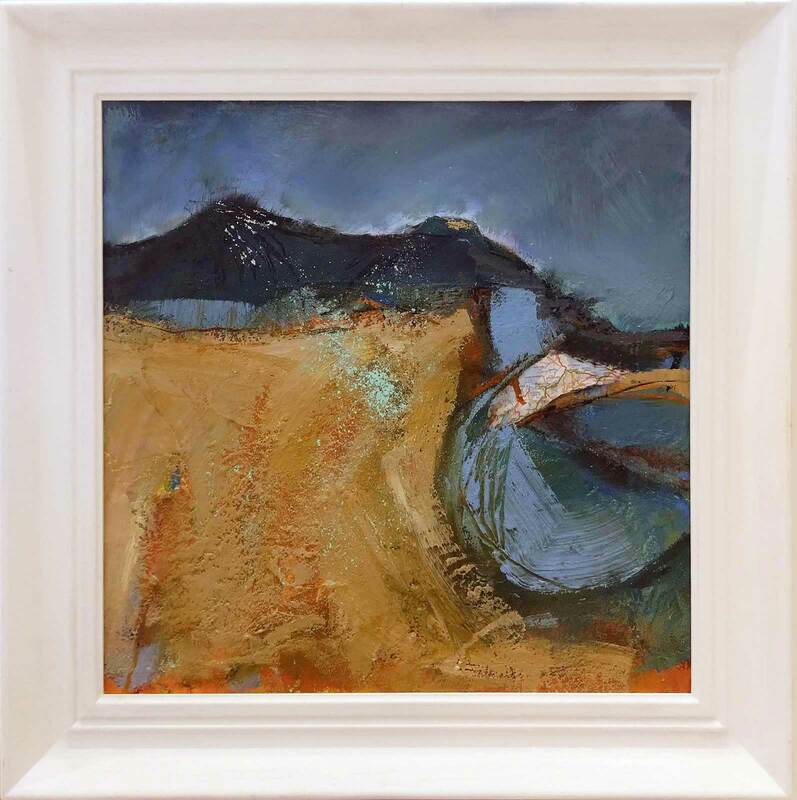 Maggie Banks is an accomplished artist whose work is rooted in the landscape and heavily influenced by her childhood memories of Donegal and Lough Swilly, surrounded by dark mountains. 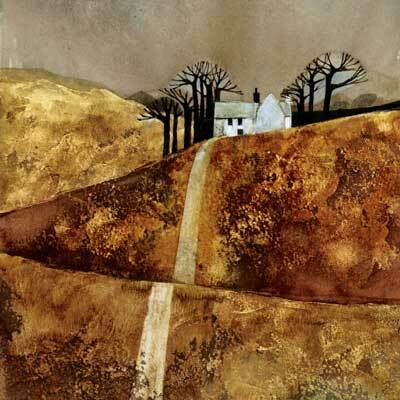 These influences were later perpetuated by ten years of living in the Brecon Beacons, using a tent as a studio and painting though all seasons. 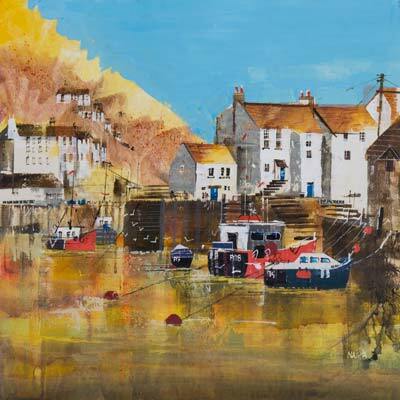 For thirteen years Maggie was Artist in Residence in a cottage off of Cape Cornwall, overlooking the Brisons. This helped cement a passion for sea, skies and rough mountain scenes. 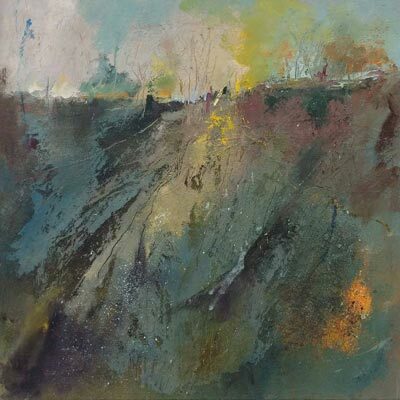 More recently Maggie’s work has developed from these routes and has become increasingly abstract; progressing towards ‘the essence of place’ through colour and emotion. 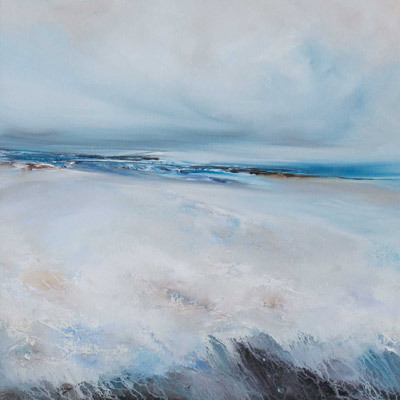 Maggie Banks employs a diverse variety of mediums in creating the desired effect. This is unrestricted and can include oils, acrylic, mixed medium, carborundum, iron filings and sometimes sand; whatever the work dictates. 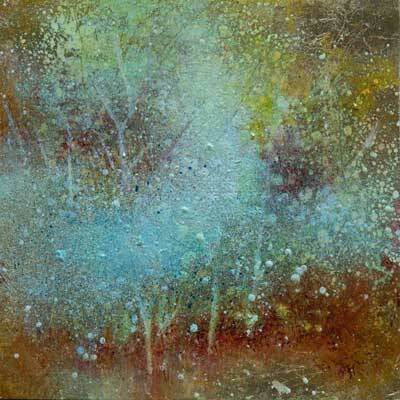 Forest Gallery is able to organise commissions for any special requirements that you might have. Please get in touch with us for further information.